Hi! 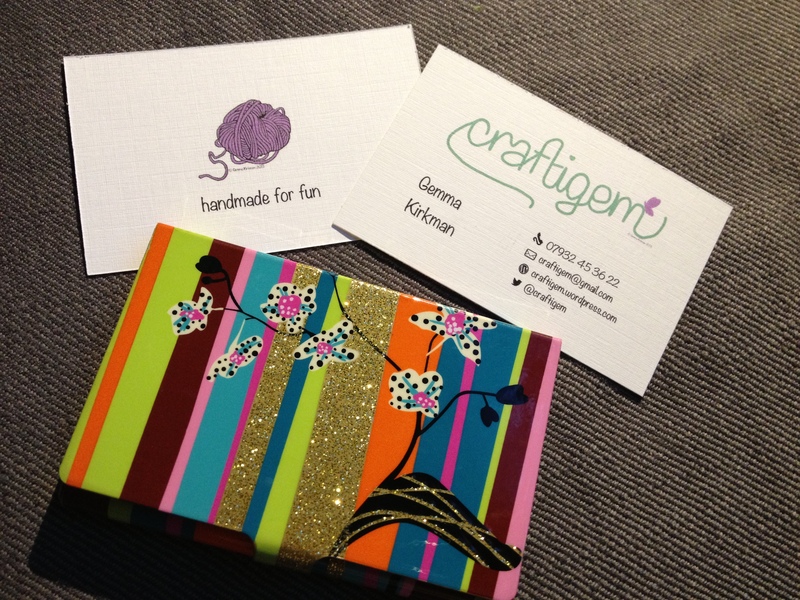 I'm Gemma from Craftigem. I'm from the lovely northern town of Oldham, UK where I live with my husband in our Victorian home. I love all things crafty and am always trying new creative activities and techniques. 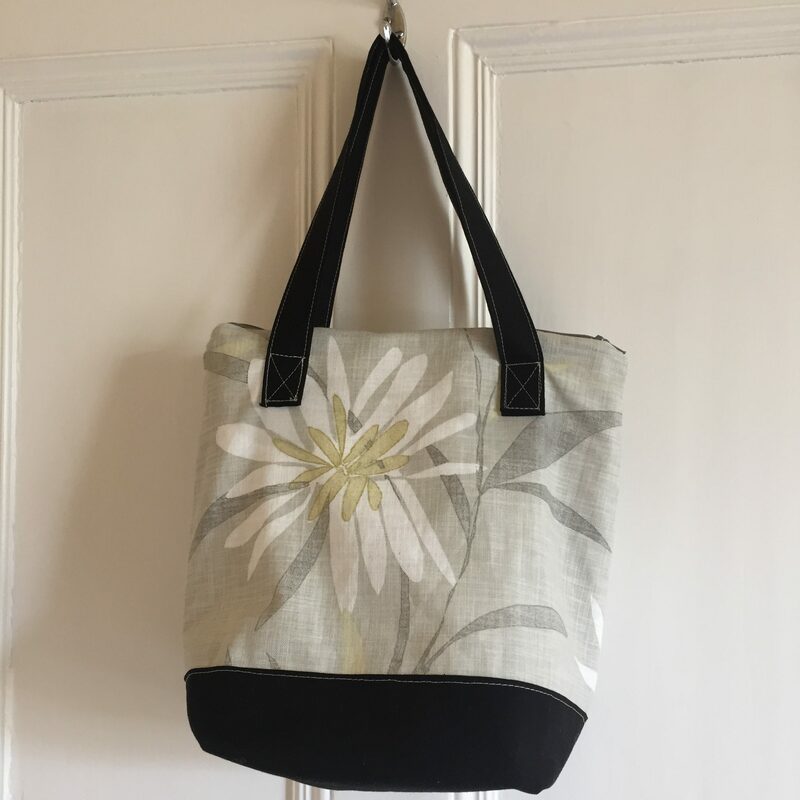 My love of crochet in particular started with a set my husband bought me for Christmas and I have expanded from there to knitting, sewing, cross-stitching and all things crafty! When I am not crafting I am working in IT tinkering with computers and such. 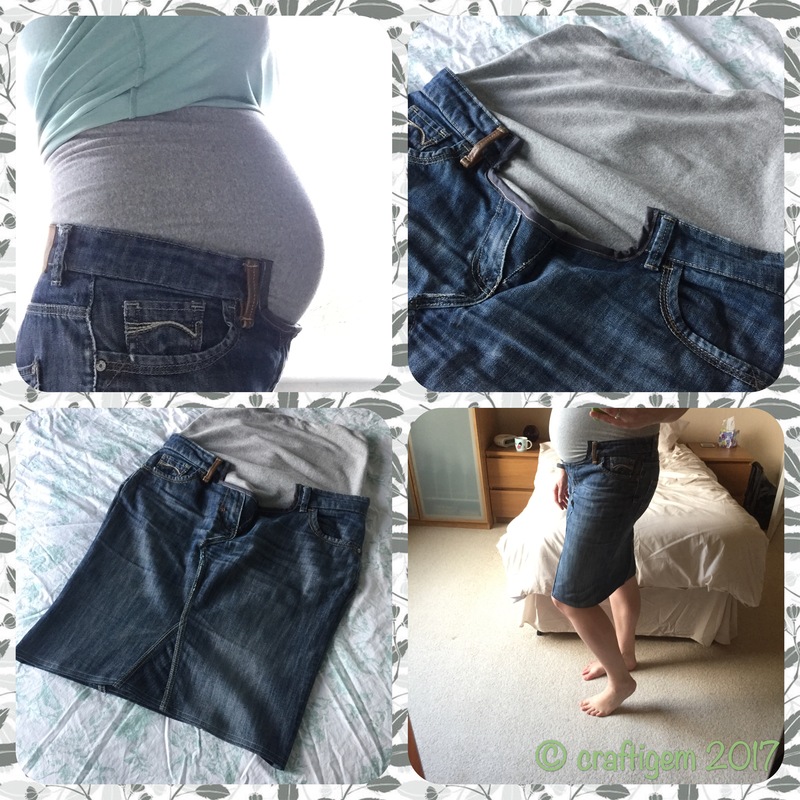 Jeans to skirt upcycle- with added maternity benefits! You know the feeling; your favourite and most comfiest jeans have finally got a hole in them and are looking just too scraggly to be a pair that is fit to leave the house. You have 2 options: downgrade them to decorating scruffs or in the bin they go. But wait, there is a 3rd option! Why not convert them to a skirt, especially now the sun is shining and your pins need a little colour. Continue reading Jeans to skirt upcycle- with added maternity benefits! 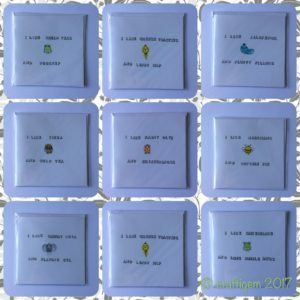 My latest crafting activities have proved… fruitful with the creation of these happy little buttons. 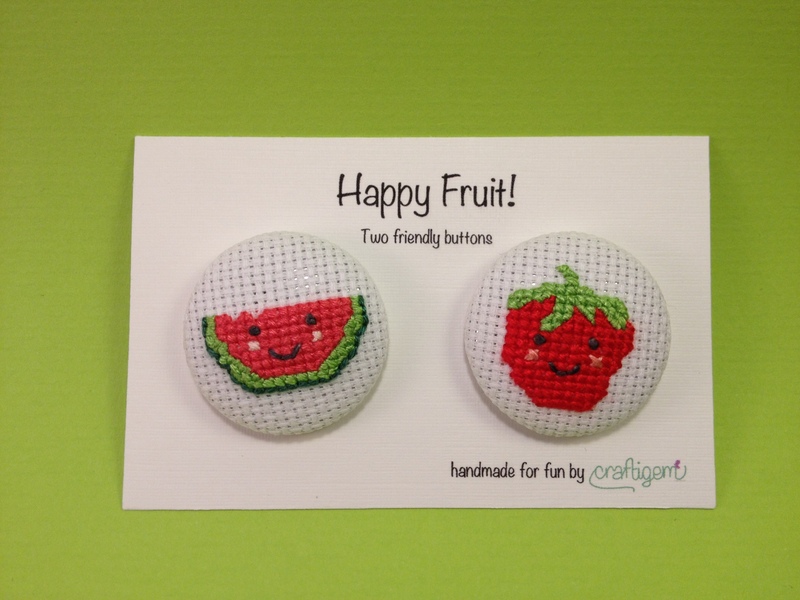 I have used 29mm metal buttons and designed my own cross-stitch patterns to produce these friendly little fruits. 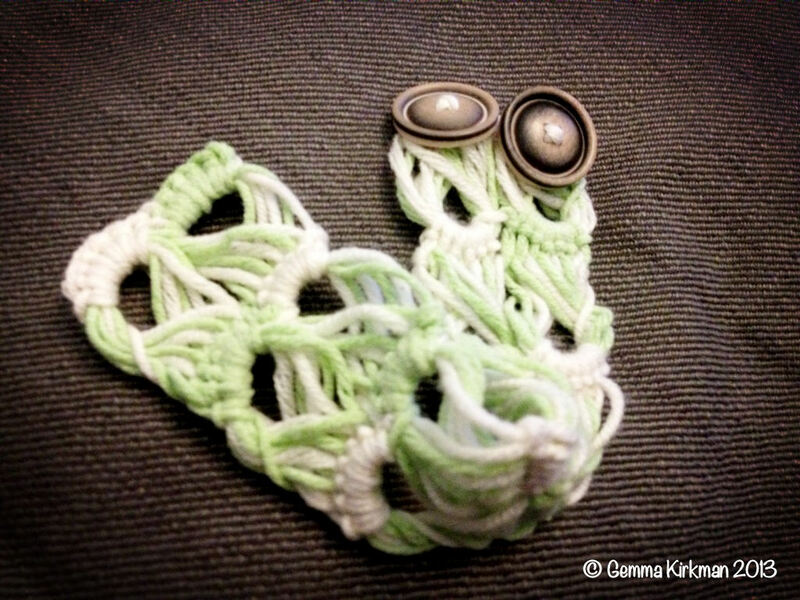 I can also make them into brooches! I really like them as they quick and fun to make, and are a great addition to tops, bags, hats, head bands, bracelets… wherever you need a cute bit of fruit really. I am selling them at £5 for two buttons/brooches, any fruity combo or two of the same. I’d love to hear from you, so please vote for your favourite fruits in the poll below, and leave me a message if you like! 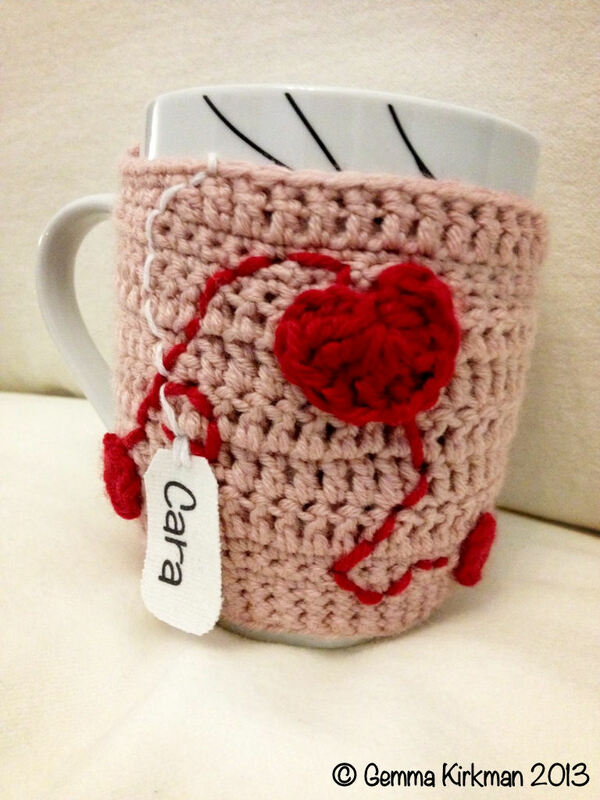 I love snuggling up with a nice cup of tea in the colder months, or after a hard day, or when sitting down to be crafty, or when watching TV… Ok, any time of day or night is a good time for a cuppa in my book! So I went to work creating us some fun covers. First, I tackled my friend’s cup which is one of those that curves as it goes down to the bottom. I wanted to make the cosy as, er, cosy as possible so I made a chain that would only just go around the base of the mug when stretched, joined it in a loop, then continued in a round to form the base. 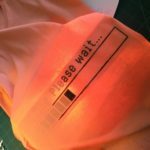 It’s worth noting that I’ll do anything to get out of having to do any finishing or sewing pieces together at the end of my projects, so the cosy part of my cosy is made as a whole piece and its just the embellishments that I sew on after. Next the hole for the handle. Instead of continuing in a round I turned instead for the next row and continued in lines, turning as I got to the end each time to leave the gap. For the curved cup I increased the number of stitches in each row at appropriate points as I made my way up the cup. Eager to see my results quickly, I also switched to double crochet (dc) rows about so it grew faster. Once I had a hole big enough for a handle, I joined the pieces once again and continued in a round for 2 rounds, making sure to leave enough room for my lip to drink from the mug (a mouthful of wool is not great). I finally finished off the piece by crocheting a fanned lip/tag at the handle of the cosy so you can pull the cosy on and off easily. I decided to add a tag, like what you would get if you were using a drawstring teabag to the side of the cup and put my friend’s name on it. 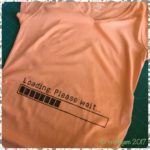 For this I simply used some spare white fabric I had, printed my friend’s name onto t-shirt fabric transfer, ironed it on the fabric and cut it out. Worked a treat! The mug cosy for me was slightly easier to make as it was a straight mug. I used exactly the same technique as before just without having to do any increases. 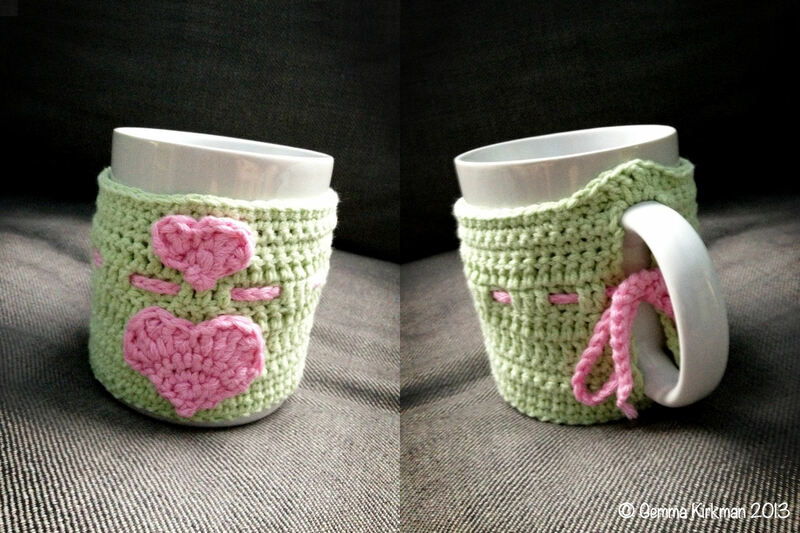 I chose a light green colour for myself and added two hearts, which I have to admit turned out better than my first attempt at hearts after I had a rethink about the pattern. 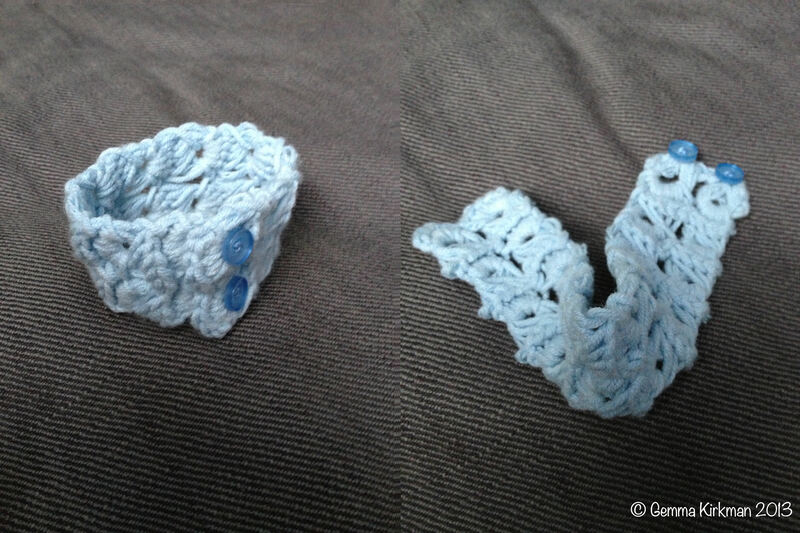 The clever thing about double crochet is that it affords a bit of stretch and space between each strand, which lent itself nicely to the addition of a little chain stitch ribbon/bow I added at the end and just passed through the spaces. The handle angle shows better the extra lip I added to allow the cosy to be taken off the mug more easily. And there you have it! I haven’t tested the longevity of the heat of the tea, but it certainly satisfies the fun and prettifying aspects of the original brief and it’s snugglier to hold than porcelain. Hope you like them, if you are interested in any more detail on how I made them let me know! Okay, I could have gone along and not had any business cards, but by this point I had already spent a lot of time thinking of a name, creating a logo and a couple of brand graphics, and a few strap lines. I had clearly chosen to spend my time on these areas instead of writing a business plan because, let’s face it, business plans are BOOR-RING and creating stuff is way more fun. I do have some semblance of a business plan however, more to come on the key bits I thought about later. Also, being a bit of a geek, I had created an email address, twitter account and WordPress site by this point so thought it a shame not to get them all down on a card. A couple of people I have spoke to find this geek stuff complicated and a bit intimidating, so more to come later on demystifying computer stuff for fellow start-ups. So, I had had a go at creating a business card a couple of weeks prior, using a Word template. Word is not good for business card templates. For one thing, it lays the individual cards down on the page as if you would want to make each one different, which I guess is possible if you are using cards to showcase your work, but not for me. This made placement of, well, anything, difficult to do if you wanted any degree of uniformity for your cards as I did. Sure, you could make your card once and then copy it but even then placement on the page to get everything perfectly aligned for cutting is difficult. Then there is the mandatory margin placement that just makes it all that much harder to measure and cut afterwards. The templates that come with Word also produce the slightly longer, thinner business cards which I am not too keen on. I didn’t get as far as even considering how you might print double sided cards before I ditched my attempts and opted to use Publisher instead. Design once, for one or both sides, in a nice, slightly squatter, 8.5cm x 5.5cm, tell it to duplex print and you get 10 business cards out of an A4 sheet, easy as that! So, with the technology sorted, it was down to what information to put on the card, placement of logos and information, fonts, and choosing the card to print them onto. I’ll walk you through the versions of the business cards I made before talking you through the one I settled on. My first attempt was from the longer, thinner word template, which I decided I wasn’t keen on after cutting. I just printed onto paper first of all rather than waste card just to see what it looked like cut out. Logo of course is important, so I gave it near enough half the space on my business card. I knew my name needed to be on there, but the template suggested job title. This I wasn’t sure about- I mean if you start the business and you are the only one then what are you? I considered owner, creator, director, commissar, but ended up temporarily with Crafty Person as the others seemed weird to me. I wanted a legible font (obviously important) but that was still rounded and natural. I had phone, email, blog and twitter sorted from the geek perspective so stuck all of them on. I chose to use pictures rather than words for my comms methods, really only because I like pictures and the tweety twitter bird especially! Next I considered what to print onto. I wanted a look that was natural and said handmade, so I fished out some brown recycled card I had used to make RSVP cards for my wedding invites last year and printed my first attempt. It looks ok – but the colours of my logo I felt were too light for the card really and I’m not changing my logo so I ditched that idea. I finally went for card which had a linen effect (see close-up here). Choosing your print media (fancy terminology) is something I wouldn’t take lightly though. It’s the little touches that make a difference after all! And so we come to the final version of my business card! I won’t lie – I spent the best part of the day redesigning from the original word template into publisher and altering fonts and sizes to get to my final card design. Less is more – I shrunk down and top-centred my logo within a margin of around 1cm at the top and each side. White space is your friend. 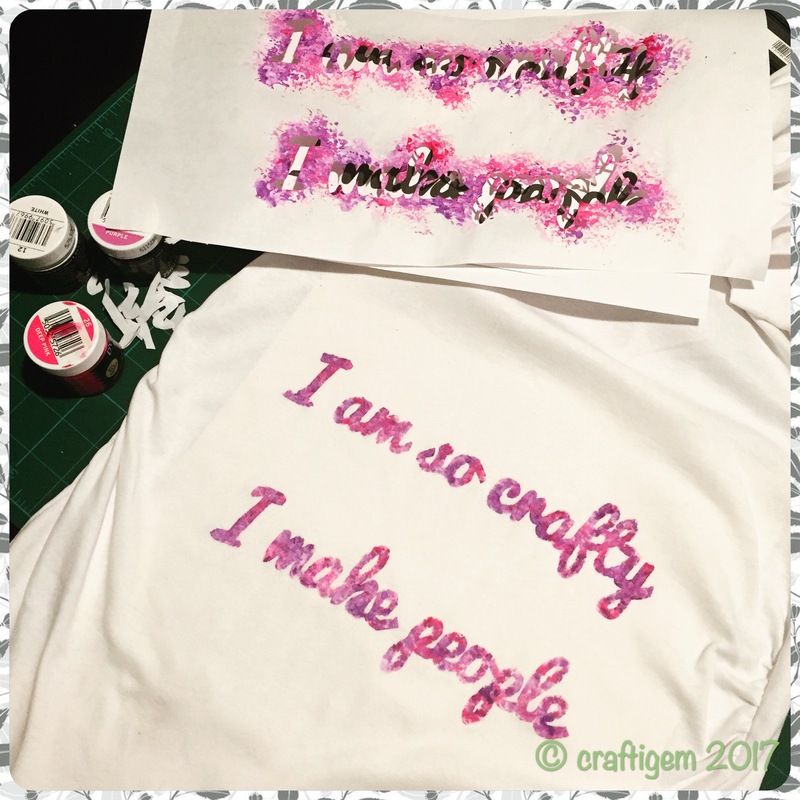 People notice fonts – I wanted a font that is friendly, rounded, natural, crafty, handmade, like me and my business. Choose a font that speaks to you and your customers, do spend time finding it. I ditched the job title – I decided I was happy just being me for the time being. Strap-lines are good – They sum up your business to something that is memorable and has impact. Again less is more here, you want something that packs a punch and says what you are about and what can be expected from you. Pictures are good – I like wool. 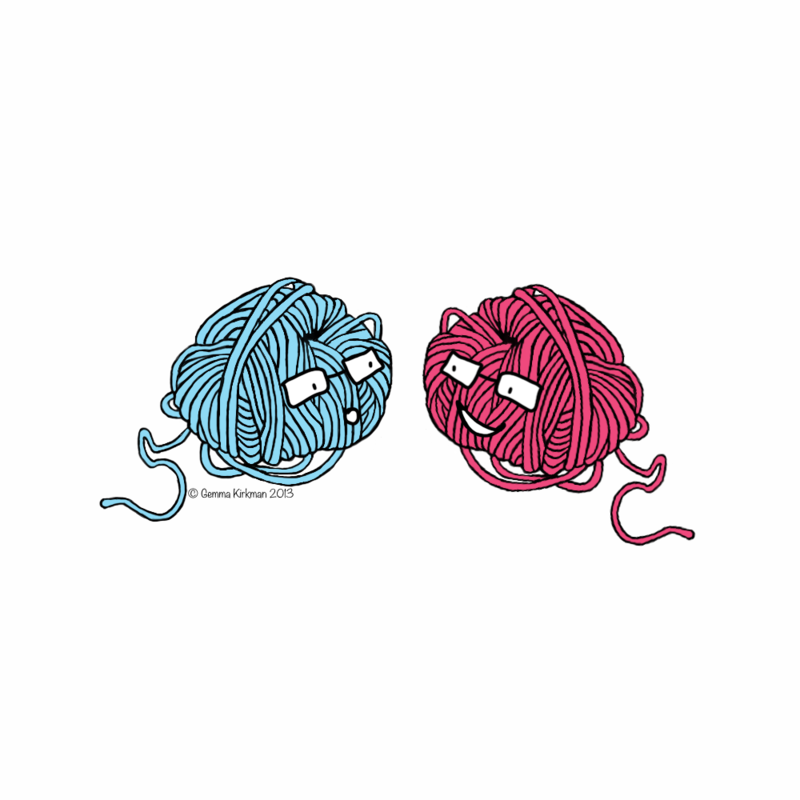 I drew wool. I have turned it into my easy, square, alternate logo, handy for the reverse of my business card but also comes more in handy for the technology stuff (remember I am writing about that in a future post). And there we have it! business cards that truly reflect me and my business all ready to go. 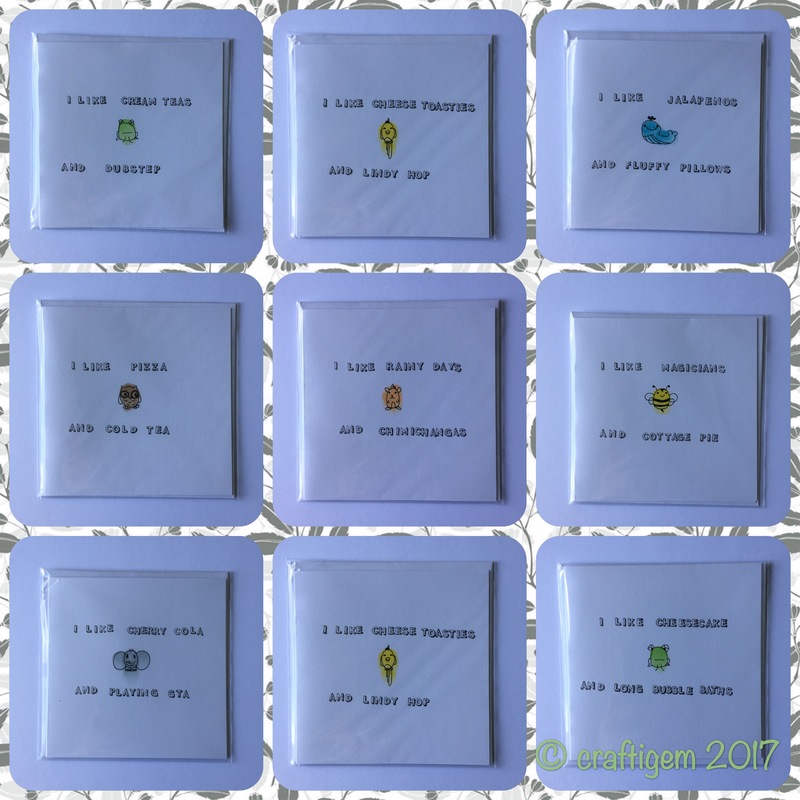 I am pleased to report they have been really well received, and to prove that those little touches really do make a difference, nearly all the people that have looked at my card have commented on the linen-effect card and what a clever touch it is in reflecting what I am doing. Result! I hope you found this helpful and please check back soon.